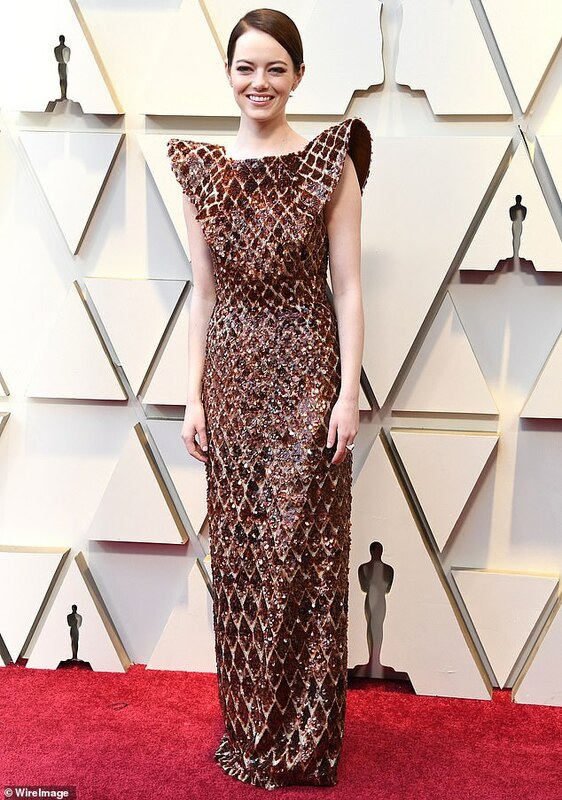 Emma Stone’s dress at the 2019 Academy Awards was a designer masterpiece: a sequin, pearl, and bead-embroidered gown that took Louis Vuitton a whopping 734 hours to make. 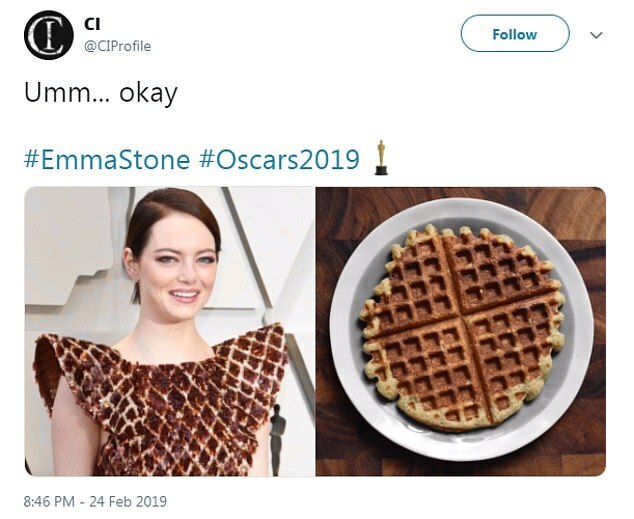 But all Twitter users saw was a giant, glittery, delicious-looking waffle. 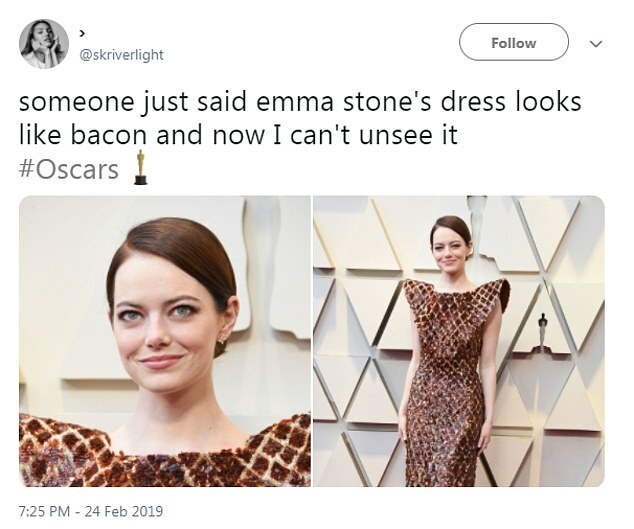 The 30-year-old Oscar winner certainly stood out on the red carpet on Sunday night in her reddish-brown gown, but while she, her stylist, and the designer were probably aiming for glamour, they mostly just stirred up hunger among social media users. 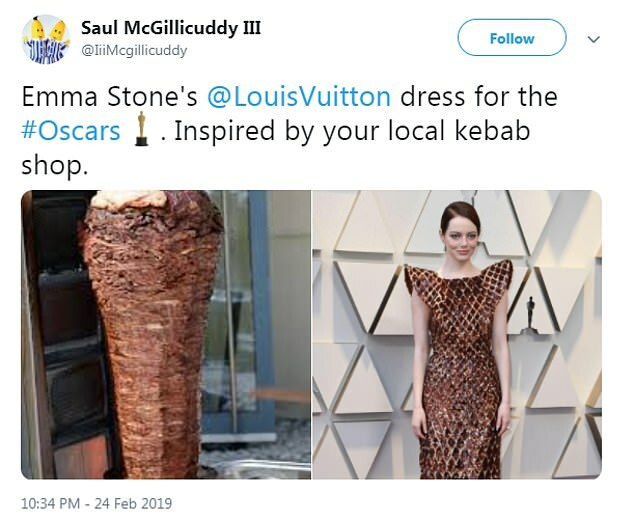 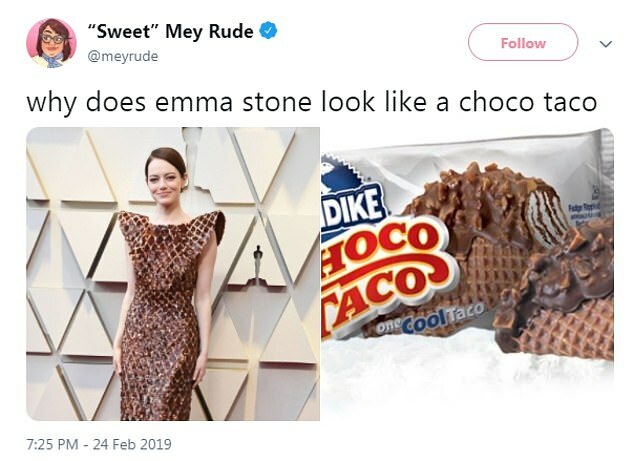 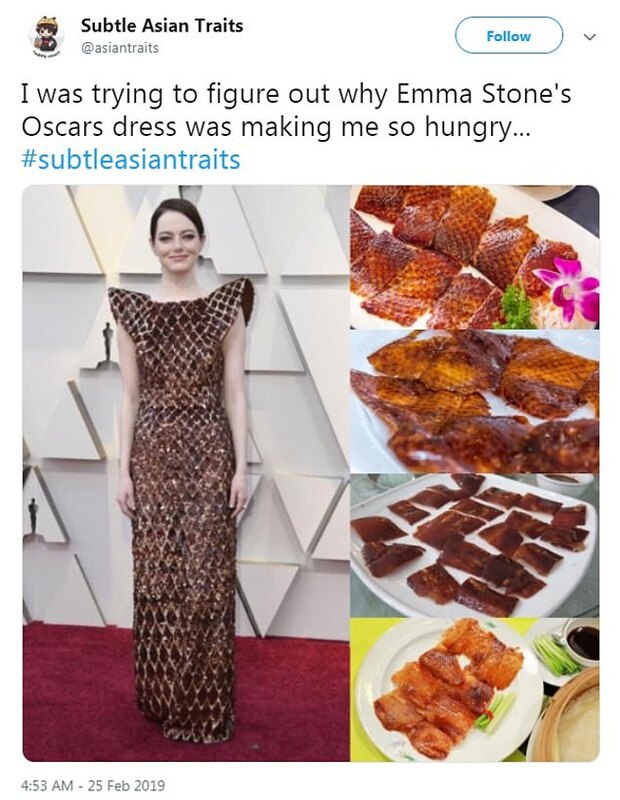 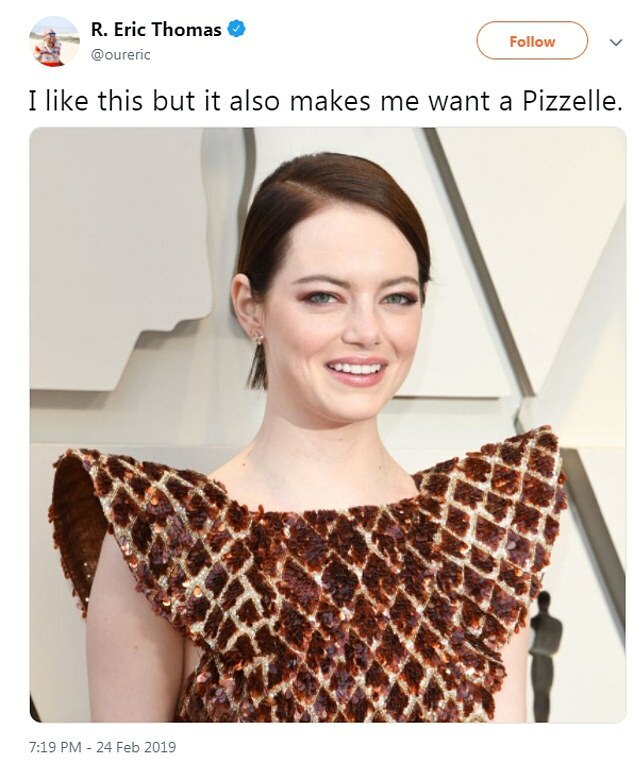 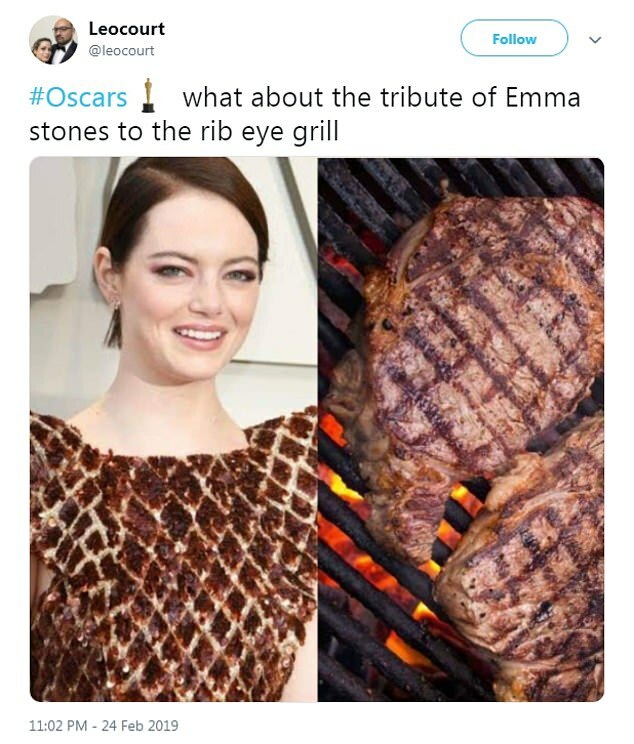 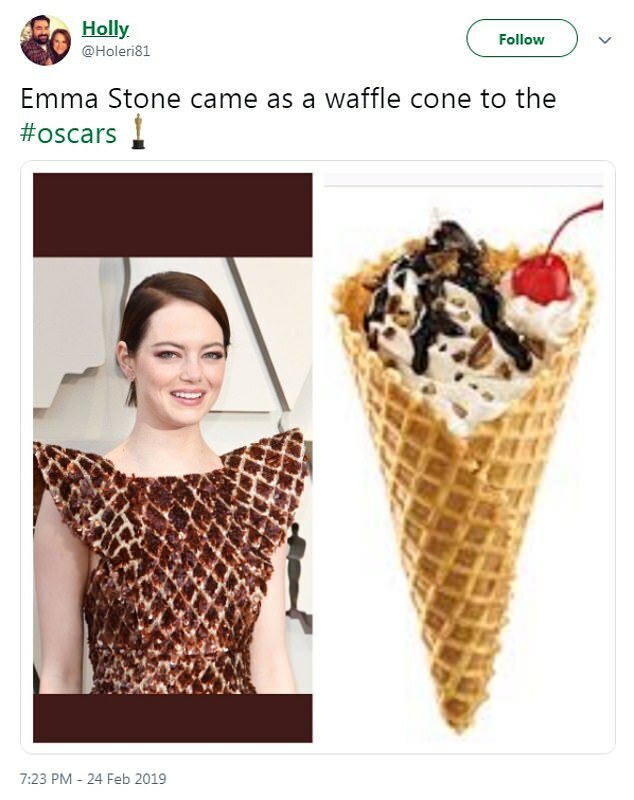 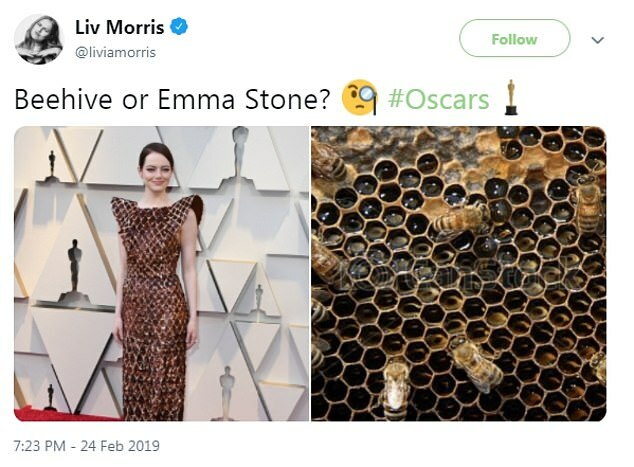 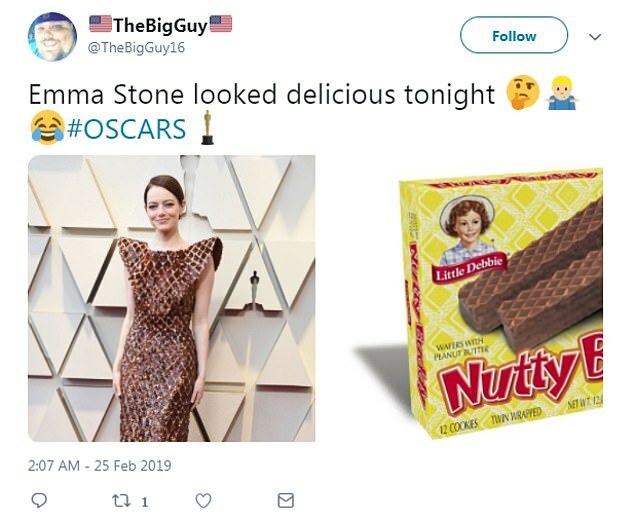 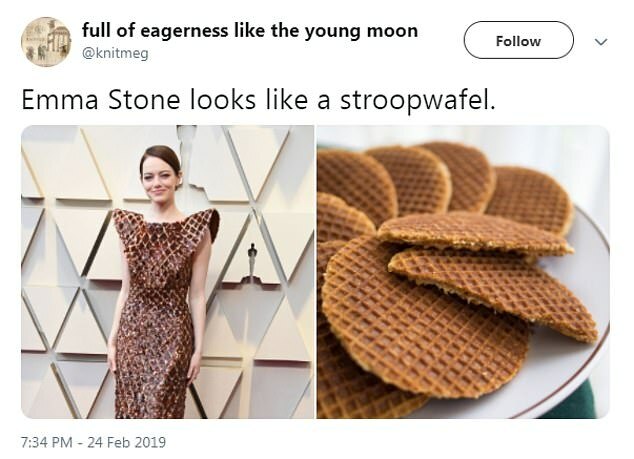 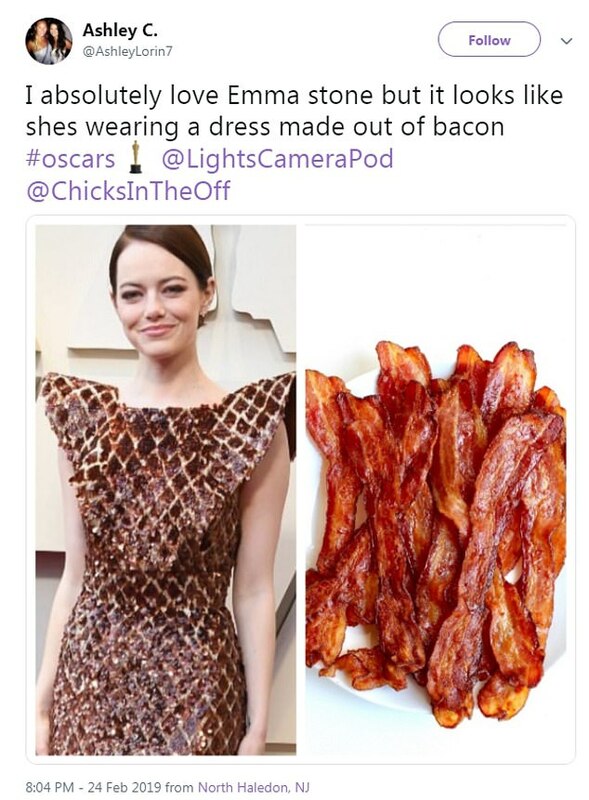 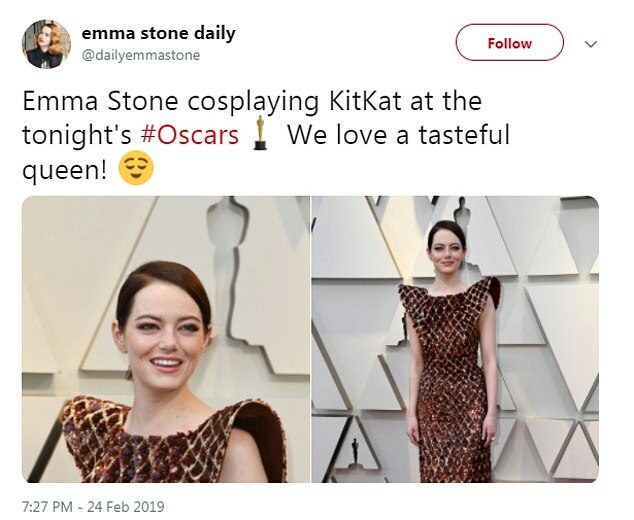 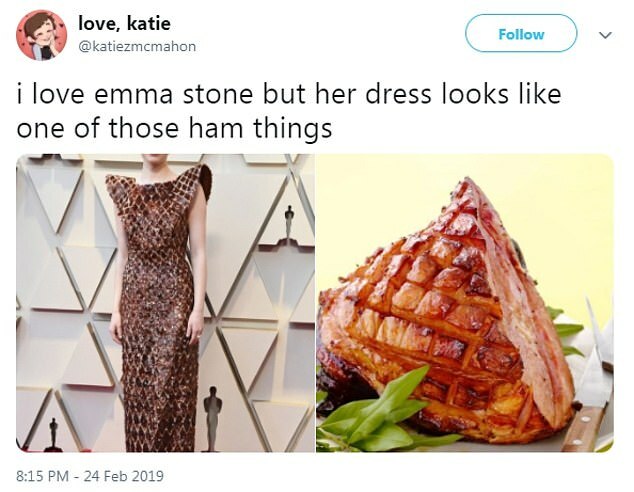 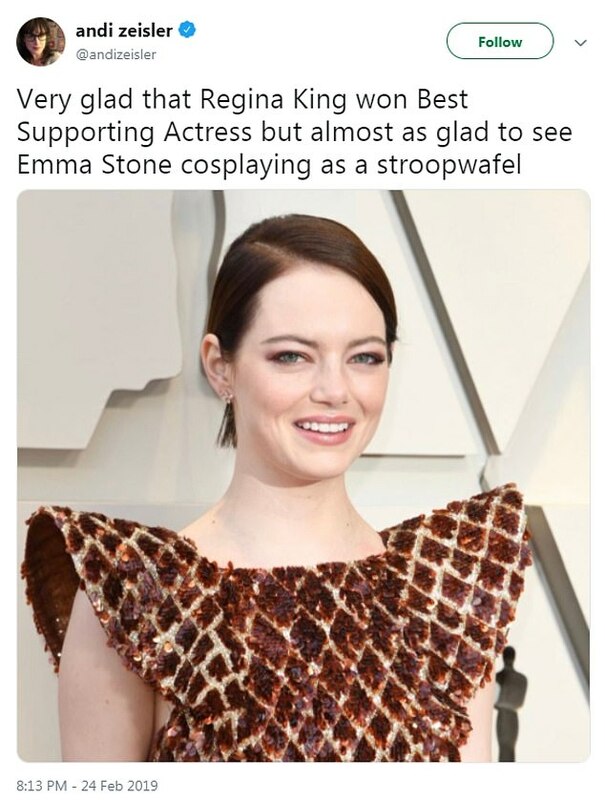 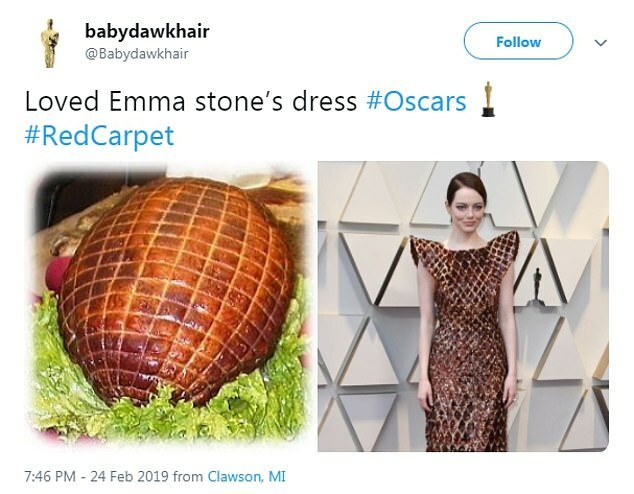 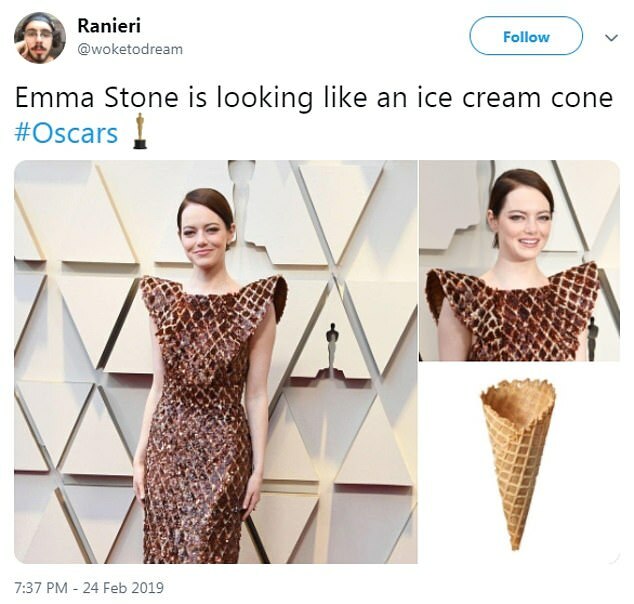 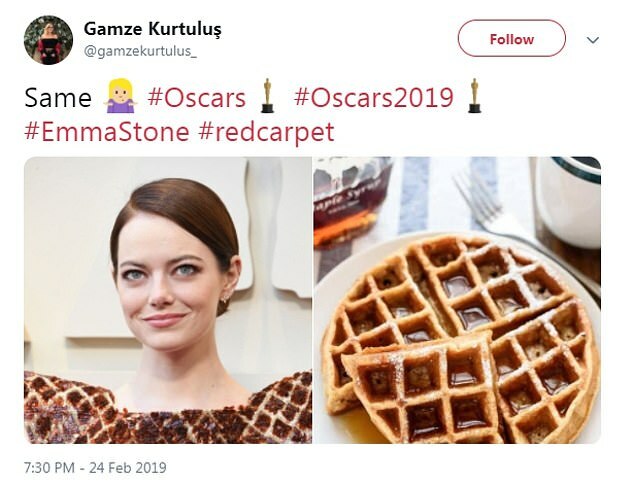 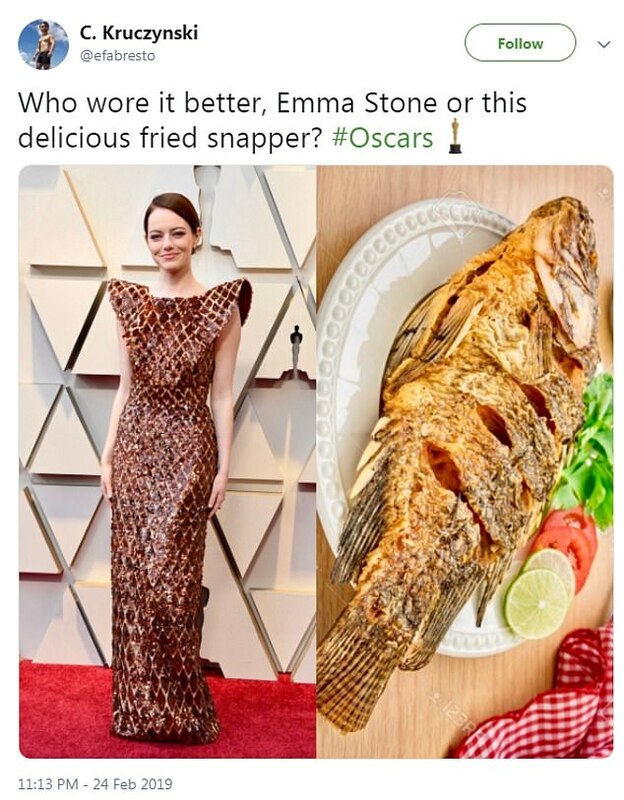 Dozens tweeted their thoughts on the look, comparing the dress to waffles, stroopwafels, waffle cones, baked ham, bacon, jerky, grilled fish, and even Choco Tacos. 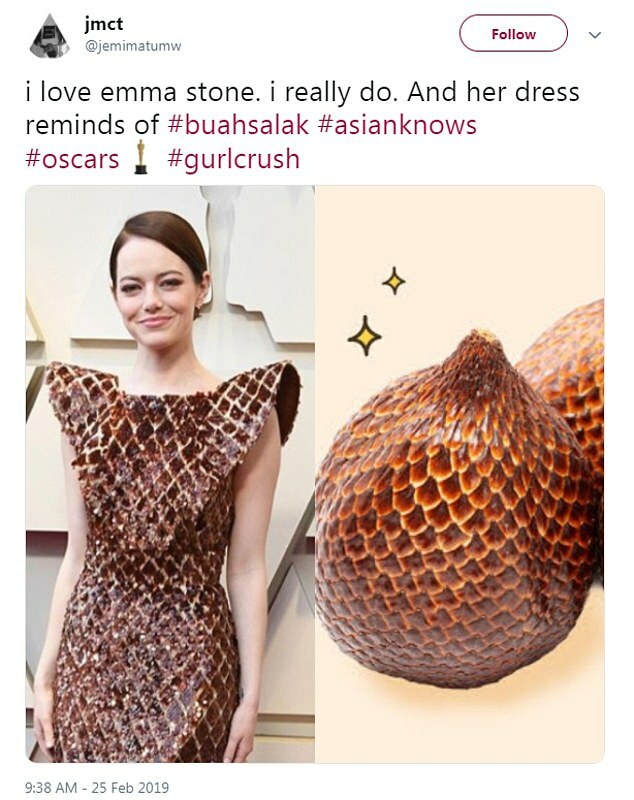 Others suggested it looked like kebab meat, Nutty Buddys, honeycomb, and salak or ‘snake fruit’ from Indonesia.